Since the announcement of the closure of Google Reader, a popular reading service and synchronize RSS feeds, candidates to succeed him have multiplied. Among them, Digg has announced that early offer an alternative, but we had not yet seen the color, while the Google service will close in less than two weeks. In a new article, the site details the first beta version of its service which will also be launched on June 26. Limited, this first beta will target heavy users of RSS and it aims to offer a simple alternative, but functional Google Reader. Specifically, the Digg service will retrieve data from the Google and it will be available on the web and on the iPhone and iPad. The interface should be simple and clear and highlight the content; a mobile version will be available for those who do not have an iPhone. We should also find all the basic functions of a dedicated reading and flow synchronization services by including in a flow sharing section and organization records. After this beta to be released in extremis - hope that the launch will take place without quack ... - Digg has already planned improvements for its service. An Android application is provided, additional services will be integrated as Evernote or IFTTT and most advanced sorting and filtering tools are available. Still research and notifications are planned. Digg RSS is a paid, or rather freemium service. The basic functions will remain free, but can be a subscription that will unlock other features. Initially, however, the publisher intends to propose a viable alternative to Google Reader service. It will be hard to do while alternatives are already in place, especially since we do not know the position of the service API. 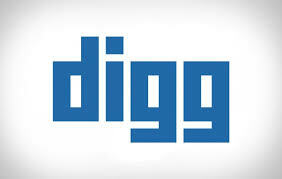 Without it, Digg will never be integrated with third party software, like Reeder. Firefox 23 Beta Version Released! ARM Cortex A-12 for higher performance!